Warm weather training camp. In England. Of all the places in the world I could have a warm weather training camp, England is not the place that first springs to mind. In 2014 and 2012, March was a-maz-ing! Sunny, and mid teens to low 20’s every day. Spring in the air and fresh green leaves on the trees. I hoped for the same weather, and optimistically packed shorts and jerseys ready for training. At the last minute, I threw in some leg warmers, jackets and longer gloves. Ironically, I forgot to pack my water proofs, but luckily didn’t need them! 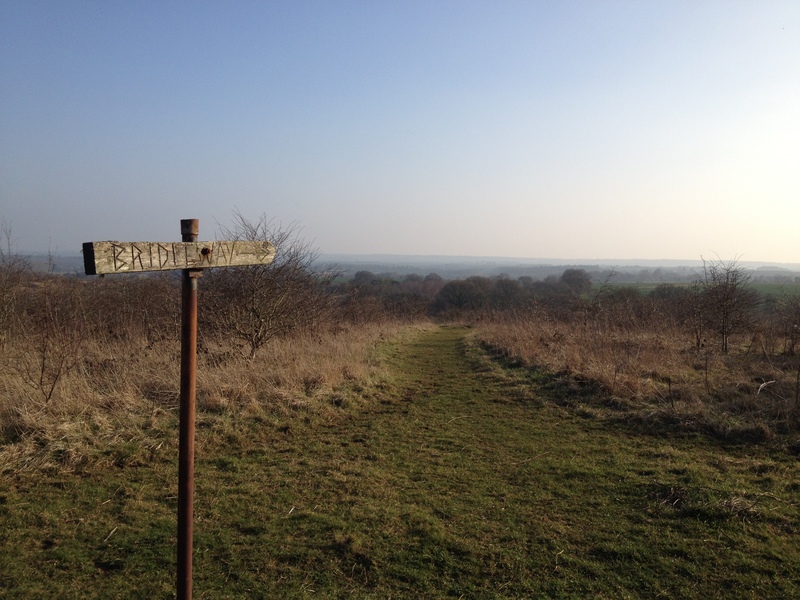 Although the weather was generally good; sun, no rain and dry trails, it was far from warm. The best I got was 10°C for a couple of days, the rest of the time it was hovering around 5°C. Sun’s out! Follow that bridleway. In the UK, bridleways get churned up by horses, while footpaths offer hidden gems of singletrack, with wonderfully fast surfaces. It’s a pity that footpaths are not legal rights of way. I was really excited about this trip. I was going to see my family, and dog (whose had some ear operations lately, and spends her days with a giant cone around her neck), and to ride my bike in some snow free terrain. 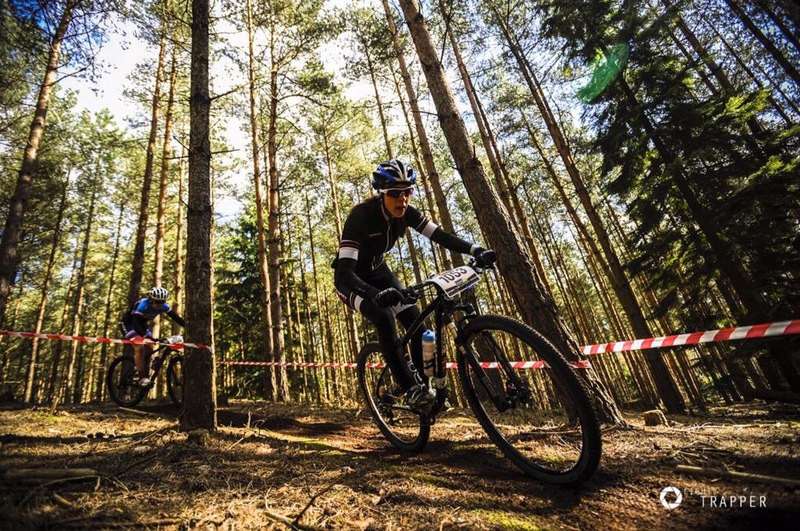 After a period of sickness, I was lagging behind in my planned interval sessions, so I was keen to get racing and find some form before the MTBO starts. The Moors Valley singletrack. It’s only graded as a blue trail, but the faster you go, the harder it gets! My form came back quickly. During the first race I rode my legs off. Riding a minute faster than last March (same lap time, more singletrack and therefore riding relatively faster), I was already pleased with my shape, but disappointed I fatigued so quickly after only 30 minutes. I then had a fun interval session at Moors Valley around the singletrack posting 21.30-22 min lap times. Although it was only zone three training, it was a nice leg loosener after the weekend and fun to find some flow around the singletrack. On Thursday, I attended a MuleBar Girl and Cannondale demo day. It was a combination of meeting some of the MuleBarGirl team, eating lots of MuleBar’s, and test riding Cannondale bikes (both road and mountain). This was a brilliant day; talking bikes, riding bikes, eating delicious food and energy bars, and having a laugh. Brilliant photo of the early race action from Light Trapper. 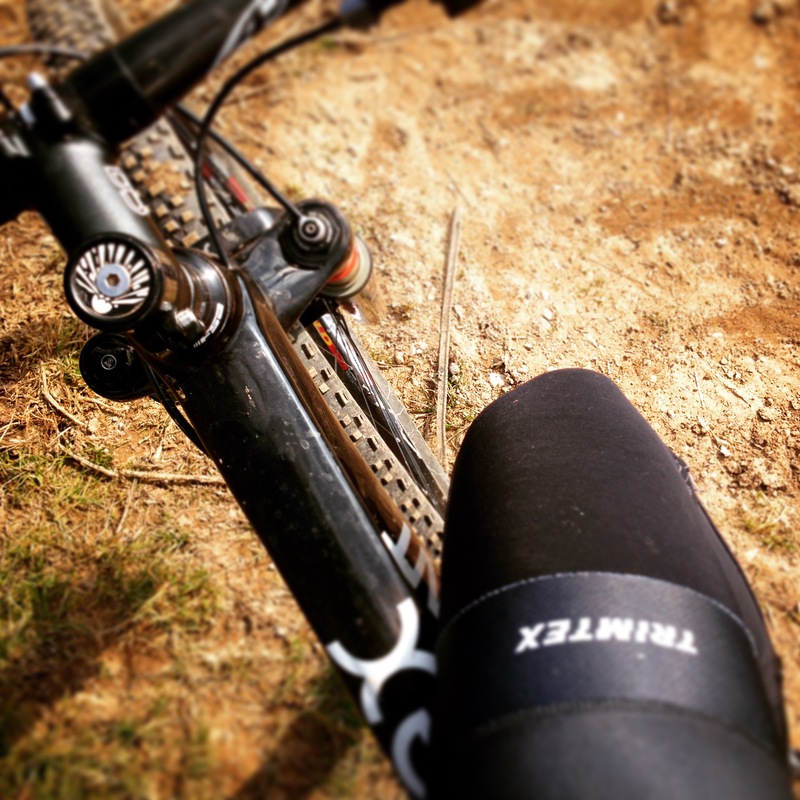 Over the second weekend, I took another win in an XCO race, but this time had begun to find my legs again. Monday and Tuesday were filled up with riding with friends. 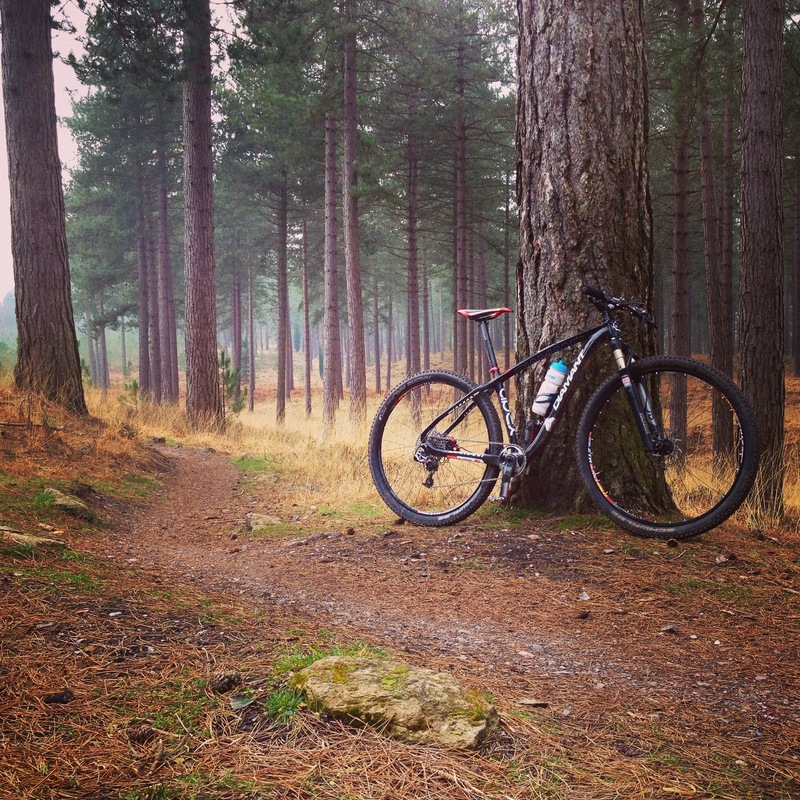 Tuesday’s intervals were the same as the week before; around the Moors Valley singletrack. It’s incredible the difference a week can make. Same HR zone, but over a minute faster per lap! I knew then that I was over my illness and my fitness was back to where it should be. And then finally, it was time for the Wiltshire Council Funding Future Olympians and Paralympians sport and business gala evening. I told HJ that he was coming to this event. It’s a black tie evening arranged around a 3 course meal, entertainment and naturally the athletes and businesses. Unfortunately the events surrounding the evening were rather stressful. I picked HJ up at 10pm on Wednesday, only I hit traffic around Heathrow and he had baggage arrival issues, so it actually turned into 1030. On leaving Heathrow the slip roads to the M25 and M3 were closed, which resulted in some detours and a 90minute journey extended to 150minutes. We got home at nearly 1am. The next day was spent trying to get the baggage delivered before we left the following day. We ended up chasing a mysterious Duty Manager for SAS around Heathrow and no-one could help us. In the end we gave up. (baggage arrived at 9pm that day/evening anyway). See next blog post to read about the Wiltshire Council Funding Future Olympians and Paralympians grant (it deserves it’s own post! ).